RecoveryRobot Pro is designed as an all-purpose data recovery software for recovering your precious data under almost every data loss scenario. While it’s very versatile in its data recovery capabilities, it does not require professional skills during the data recovery process. The whole data recovery process is designed as step-by-step, so all you need to do is clicking the mouse. What RecoveryRobot Pro is capable of? Recover accidentally deleted data or files emptied from Recycle Bin and files deleted by using SHIFT+DELETE key, etc. Recover data or file from damaged or formatted hard drive or the hard drive is inaccessible for unknown reason. Recover data or file from the partition or external storage devices like memory stick, memory card and flash drive. 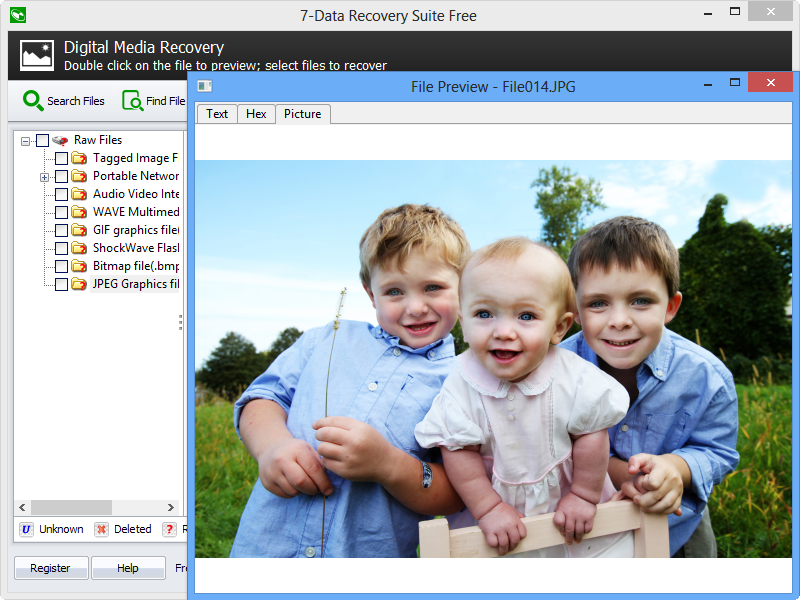 Recover lost image, audio, and video files from hard drives, USB drives, SD cards, Camera, and other memory card. Recover deleted data, photos, videos from the inaccessible or formatted memory card of your mobile phones. Recover lost, deleted, corrupted or formatted photos and video files from various memory card types. Recover data or file under other circumstances not listed above. It has a comparatively high data recovery success rate. It’s easy-to-use and does not require professional skills. It’s comprehensive in dealing various data loss situations. It has a very fast scanning speed so you don’t have to wait long. It’s a DIY process and you don’t want a third party to handle your private data. It’s small in size and consumes very little computer’s resources. Designed for the recovery of accidentally deleted data and files. Using advanced scanning technology and directory restructuring algorithm, RecoveryRobot Pro can assist you to recover deleted data and files emptied from Recycle Bin and files deleted by using SHIFT+DELETE key, etc. Recover data from lost or deleted partitions. This is the most common data lost reason. And also, this data recovery module could help you to recover your data when hard drive crashed, MBR corrupted, disk re-partitioned (fdisk) and partition be overwritten when you use data backup software to restore the disk image. RecoveryRobot Pro provides an exclusive media recovery option that allows you to recover lost image, audio, and video files from hard drives, USB drives, SD cards, Camera, and other memory cards. It runs a full hard drive scan to safely recover images and media files in any event of accidental photo deletion, virus infection, or disk formatting. Mobile phones process and store huge amount of data on daily basis. However, many times the memory card of the mobile phone gets corrupt, inaccessible leading to vital data loss. RecoveryRobot Pro can recover deleted data, photos, videos from the inaccessible or formatted memory card of your mobile phones. Do-It-Yourself, Step-by-Step Data Recovery; No Technician Is Needed. 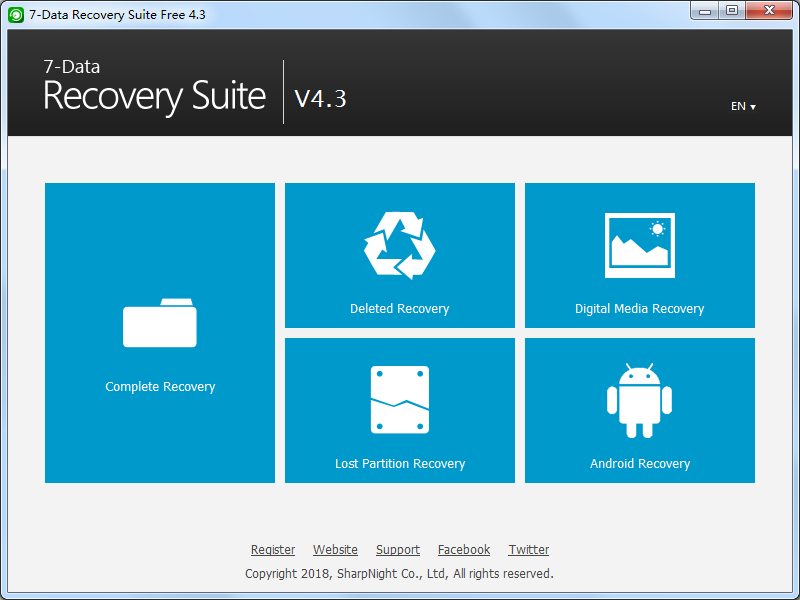 Download and install RecoveryRobot Pro on your PC. Please make sure you installed RecoveryRobot Pro on a different path other than where the lost data or file is located, so as to avoid overwriting the data or file you want to recover. Please select the drive (local or removable) or partition you want to restore data from and click "Scan" button to start a scan for recoverable data. You can scan a partition or the entire drive or the removable devices such as SD card and USB drives from which you need to recover your data. After scan is complete, you can browse and preview the files listed in the original tree structure of the partition or drive. After you decide which files you want to recover, please select them all and click the “Save” button. Choose the path you want to save these files to and it’s done. Now you can see the recovered files in the destination folder. "I work in the IT industry and this powerful piece of software is unlike anything I’ve ever seen." "I am very impressed with the software for ease of use and clarity of guidance, It certainly saved the day and I am delighted." "I cannot thank you enough and would highly recommend you to anyone who loses important stuff from their computer." "I cannot afford not to have it on my computer. It's like having fire, theft and flood insurance on your home, but on your hard drive." "You have saved me a lot of money and returned some irreplaceable data to me, and I am extremely grateful." "I am a happy camper with a big sound of RELIEF. RecoveryRobot saved me from a huge bill and from a sleepless night! Awesome."